Keeping your BMW, Mercedes, or Mini Cooper clean year round should be a priority. To maintain its factory paint finish, exterior upkeep including detail cleaning is an absolute must! Every day that you drive your car, it is subjected to road grime, bugs, and other contaminants that can harm the paint causing imperfections like scratches. But by maintaining a regular cleaning pattern or schedule, you can remove the debris that makes your vehicle’s finish appear dull or dirty. 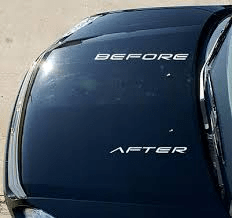 While you might assume that going through the automatic car wash is the best solution to get the gunk off your car quickly, you should reconsider. Automatic car washes won’t do the best job. In fact, if you go to the car wash that has spinning scrubbers, you could hurt your paint job more so. Any car wash that makes contact with other vehicles is essentially picking up all the debris that was on their car, then spreading it to yours. This could include rocks, which can scratch your paint terrible. Touchless automatic car washes are slightly better, for it’s less risky, but they don’t do near as good a job as at-home washings with the correct products. If you have access to a power washer, doesn’t matter if it is gas or electric, this equipment works exceptionally well at removing tough, caked on road debris and bugs. Starting out with a good rinse can also losing tougher dirt that can be removed with a soapy sponge after. Power washing is safe on factory paint and won’t cause any damage. If you’re unfamiliar with clay bars, they are an excellent addition to any at home car cleaning product arsenal. 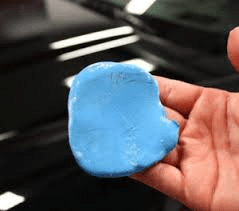 Clay bars, when appropriately used, will gently lift stuck on dirt that has embedded in the paint without damaging the surrounding areas. Several manufacturers produce clay bars, but all will do the same thing. The most important tip with this product is not to drop them. Because clay bars will pick up dirt and debris like a champ, if you drop them they will attach more debris to them. So be careful while handling and if you put them down, use a clean surface to set them on. Some people shy away from cleaning under the hood, for fear of damage. German Car Repair has been known to get slightly expensive, which is why some choose never to open the hood and only look for BMW Repair Near Me when it’s time for service. That’s absolutely fine too. But there are some parts of your engine bay that you can clean if you are nervous to take a power washer under the hood. (Which is really discouraged anyway) You can wipe down the sides, underneath the hood, and engine cover. This can make your car look a hundred times better, and well maintained. Cleaning under the hood of your car can also be a great a time to inspect your hoses and belts for wear. Waxing doesn’t have to be done every time you wash the exterior of your vehicle. But you should apply a good wax product every three months for the best protective results. Wax can help prevent sun fading spots and unnecessary scratches. It is a must-use product for anyone wanting to preserve their car’s exterior. These three tips can take your car from looking dull, to restoring its brilliance in just a few hours. For larger imperfections in the paint finish you’ll have to have it corrected by a paint specialist, but maintaining the paint job of your car can make it last much longer. Previous PostPrevious What to Expect from a Mercedes Mechanic?